Meet Columbia's newest innovation: the first high-performance environmentally friendly rain jacket with no PFCs intentionally used (may contain trace amounts). Waterproof, breathable, and fully seam sealed, the OutDry™ Extreme Eco Jacket is the ultimate earth-smart raingear. Meet Columbia &apos;s newest innovation: the first high-performance environmentally friendly rain jacket with no PFCs intentionally used (may contain trace amounts). Waterproof, breathable, and fully seam sealed, the OutDry™ Extreme Eco Jacket is the ultimate earth-smart raingear. Dye-free fabric saves over 13 gallons of water per jacket in the manufacturing process while the 100% recycled fabric is made from 21 recycled plastic bottles. 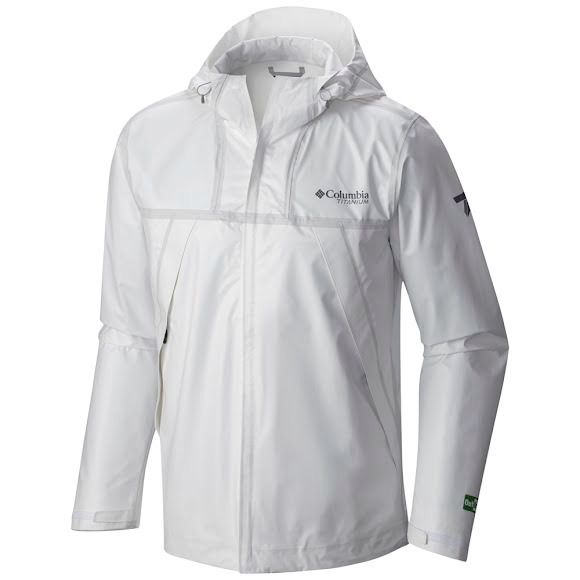 Columbia Sportswear&apos;s premier product line, Titanium, offers advanced fabrics and technologies for all-weather performance and protection during demanding outdoor action.